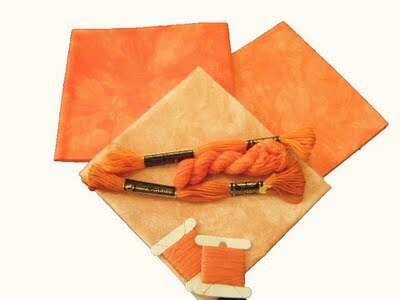 2 packs of matched colour blends with an extra surprise, could that surprise be one of the beautiful hand dyed threads? What bliss to be one of the lucky winners, go on, pop over and leave a comment for a chance to win. Trish's site is jam packed with all sorts of info and goodies, more tutorials that I have ever seen one one site, lots of info and Craft Classes. I have just spent a most enjoyable hour or so and given myself a severe attack of the 'I wanna do that, and that, and that' and now its time to get back to the sewing machine. I do hope your enjoy your visit to Trish's site. Thank you so much for your lovely comments. Hope you enjoy handprinting your fabric.